5KPlayer is a free HD video player, music player, media file manager, AirPlay media streamer and online video downloader rolled into one application. 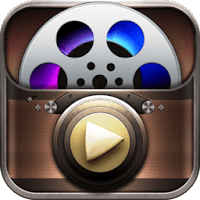 It allows you to play 4K/HD/DVD videos and other media files easily, it has built-in video downloader tool that supports as many as 420+ online video & audio sites, and features a unique AirPlay streaming technology, that will help you to stream audio and video media from iPhone, iPad, iPod, Apple Watch to Windows/Mac OS. 5KPlayer delivers smooth playback of any media files, including DVD, radio, music and videos files in a wide range of formats, such as MKV, AVI, MPEG, MP4, DivX, XviD, WMV, FLAC, AAC, MP3, even 4K, 5K and 8K Ultra HD videos. Using 5KPlayer video downloader tool, you can free download 8K/4K/1080P videos and music online from YouTube, Facebook, Yahoo, DailyMotion, Vimeo, Vevo, Metacafe, Myspace, Vine, UStream, MTV, Instagram and many more video sites. Moreover, It also enables you to convert YouTube videos to MP3 in one click with fast speed. The incorporation of AirPlay streaming technology means that you are able to use 5KPlayer to wirelessly stream video music on your iPhone iPad iPod to Mac, or from Mac to Apple TV and speakers. Meanwhile, the advanced Air Mirroring and screen record capacities of 5KPlayer help you to mirror your display and record screen with high quality. You can easily and efficiently realize game recording and enjoy videos on bigger screen over the best sound system. Play 4K/5K/1080p HD videos, DVDs and radio. Play MP3 AAC APE FLAC music files. Built-in AirPlay sender/receiver to stream audio/video. Download online videos from YouTube, Dailymotion, Vimeo etc. Disclaimer: Direct downloads for the lastest version of 5KPlayer 4.6.0.0 are provided by the official software's author, we can't guarantee safety, availability or download speed. Moreover, we don't and we won't provide any pirated/illegal versions or tools. We recommend you to avoid it as these methods can harm your device. If you like the software, buy it to support the developers. (We provide software discounts for many worldwide brands).